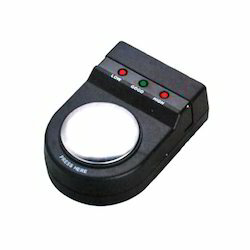 Leading Manufacturer of wrist strap tester from New Delhi. The wrist strap's grounding cord/cable connects right into the tester's grounding receptacle located on the back and the band fastens comfortably to your wrist. Actuation- By gently pressing metal sensor plate. Looking for Wrist Strap Tester ?